One thing I feel very strongly is that an engagement ring is about 2 people. There is nothing that anyone else can say or think that matters at all. I was recently at a wedding and in the vicars’ address he emphasised that a marriage is about a promise between two people. It isn’t even a promise to God (or according to your religion), it is simply 2 people making vows to each other. ‘I take thee….’ An engagement ring is the first symbol of this commitment to each other and no one else; the ring should suit the two of you. “You should spend 2/3 months’ salary on an engagement ring” …… absolute total rubbish! This was a marketing ploy created by those set to benefit from increased sales in diamonds/jewellery. You should spend what you are comfortable with. There are no rules on how much to spend, pick a budget you are comfortable with and go from there. End of. ‘An engagement ring should be diamond.’ ………..Again this is just not true. In fact diamonds as engagement rings have not always been used throughout history, but they were made mainstream by certain diamond mine owners…..again to benefit their own bank balance. However, there are good practical reasons that diamonds are great to use, mainly because they are the hardest of gemstones so are very suitable for a jewel that will be worn every day. We have made all sorts of commissions for engagement rings – one client wanted an onyx (black hard stone) & diamond ring. This is what she has always dreamt of and was told by another jeweller that she was morbid for her decision. This really upset me as she questioned herself because of this thoughtless comment…. For starters a lot of onyx and diamond rings are fabulously Art Deco – not morbid at all – but very chic! Anyway, she stuck to her guns and we designed together a completely unique ring along the lines of what she had pictured and now many years into her marriage and she is still completely in love with her ring! Moral of the story is that you should buy what you want, if advice is given on a practical level then heed it…..if it is purely a matter of taste stick to what you want! 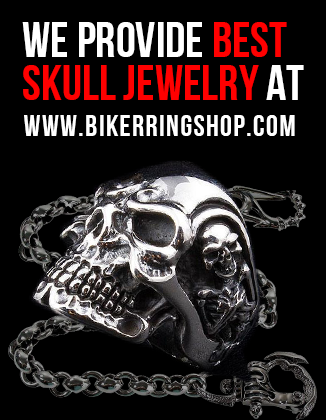 Lifestyle – what type of ring would suit the wearer… one of my clients is a chiropractor and required a ring that was cut low to the finger – no protruding setting, claws or anything that could scratch so that she can wear it while she works. Style – does the intended recipient wear jewellery? If so is it mainly white or yellow metal? Are they generally conservative or a fan of the unconventional? Would they be comfortable wearing the ring you are choosing for them? Budget – as I said there is no wrong or right – but you have to be realistic about what you can get for the money you wish to spend. Decide your budget and then get talking with a reputable jeweller, you should be able to walk away with something you love. I recently read a couple of articles published on a website about jewellery….. it has various articles including things you should know about engagement rings and ways to spot if your diamond is fake. There were some points within these articles that were entirely incorrect and it concerned me that people read things like this and take it as gospel. One point that was re-iterated in a couple of articles was that if you put your diamond under a UV light and it does not glow it could well be fake. This is incorrect! The best, most desirable diamonds have no UV fluorescence! If you have a high white stone and it has fluorescence it would make it significantly less valuable! If, however, you have a diamond that has a tint of colour, florescence could make the stone look whiter than it actually is making fluorescence a positive thing. Buy from a trusted source, there will be someone you know, family, friend or work colleague that will be able to recommend somewhere decent for you to go. It is a minefield out there, I will not try to pretend it is not, so a trusted source is very important. If you get offered a diamond extremely cheap there is probably a good reason for its price. Unfortunately there are jewellers that will smell a nervous engagement ring buyer a mile off…. 1. Buy quality. This ring is going to be worn (hopefully) for the rest of your partners life, don’t cut corners, it won’t be worth it financially in the long run. 2. Buy a certificated diamond. GIA (Gemmological Institute of America) are the benchmark of diamond certs. There are other trusted laboratories but a GIA certificate is preferable. This will buy you peace of mind that the diamond you are buying is guaranteed to be as sold. 3. Look at different designs – it is important to decide what you don’t like as much as what you do – narrowing the choice makes the process easier! 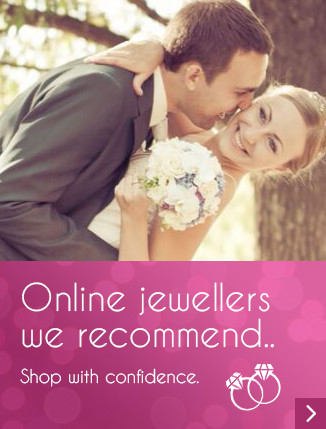 Get a consultation with a jeweller….. it’s what we are here for…. Whichever stage you are at, if you haven’t a clue what you want or if you know exactly – a consultation is all you need to get things going. Mostly enjoy the process – it is a hugely special purchase and should be a great experience! Good luck! And if you have any thoughts on this then please leave a comment below. Previous ArticleA luxury diamond ring?